children ages five through 17 years old. Youth in fourth through eleventh grades are educated in CHI’s experiential learning academy preparing them for success when reunified with families or in transitioning into adulthood. Family homes are headed by married couples trained to mentor children in a structured environment teaching values and new skills for healthy family living. 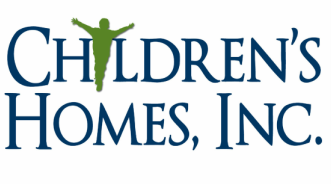 Each child and family served by Children's Homes has a Therapeutic Caseworker who coordinates services for the child and communications with the family or placing agent about the child's care and progress. Equine assisted learning is a nontraditional therapy which teaches coping and relationship skills through the combined use of horses and low-ropes activities. Working together is a family reunification program that teaches children and parents skills necessary for healthy family living. Pathfinders combines Adventure Based Counseling and Wilderness Education to build self-esteem, personal and family responsibility, cooperation, problem-solving, trust and leadership. The Balcom Learning Center provides alternative education with the goal of returning youth to the traditional school environment after they have successfully begun work on the problems that brought them to the academy. Youth pledge head, heart, hands, and health as members to the community of Northeast Arkansas. Youth learn responsibility by taking care of animals. Have questions about our program? Feel free to contact us.